"You love your daughter more than your work, right, Mommy?" she asks me out of the blue, peering at me through the open bathroom door as I get ready one morning. "Of course I do, honey," I say, reassuringly, but wonder where that came from and why she would even question my love. Her question has been on my mind since she asked it. This summer, I am reading Vicki Vinton's brilliant book, Dynamic Teaching for Deeper Reading with my #cyberPD friends. This is one of the best books I have ever read regarding the teaching of reading. One thing I have really appreciated in this book is the examples of literature. 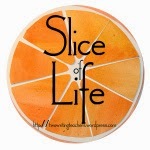 In this chapter, Vicki mentions several books I know well: Julius, Baby of the World by Kevin Henkes, One Green Apple by Eve Buntings, and The Old Woman Who Names Things by Cynthia Rylant. I never thought about these books from the perspective of patterns that change but Vicki's explanation makes so much sense and I can see myself teaching students to think along those lines. I love the idea of a "first draft understanding." This is the summer he lost a tooth. This is the summer she (mostly) learned how to dress herself. This is the summer he jumped off the diving board, treading water 11 feet deep. This is the summer she stopped holding onto me in the pool and dipped her head under water, coming up spitting out water, blinking, but proud. This is the summer he started holding doors open for people. This is the summer she wanted to paint rocks. This is the summer he flings his camp bag over his shoulder and walks in by himself. This is the summer I still need to bring her stroller when she's tired. This is the summer he is tall enough for the water slide at the pool. This is the summer she wants me to braid all her dollies hair. This is the summer he pours his own bowl of Cheerios. This is the summer she plays school and is the teacher. yet still need me after all. 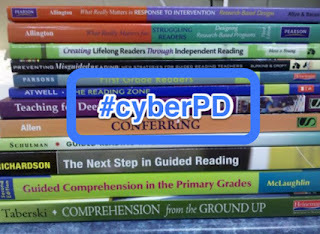 I am so happy to be participating in #cyberPD for my third summer! This community always pushes my thinking and encourages me to dream and plan for the new school year. This year's selection, Dynamic Teaching for Deeper Reading by Vicki Vinton has led to so many thoughts and ideas about how to teach children to think deeply and be problem solvers when it comes to reading. Last week, I pulled together my thoughts on Chapters 1-4 in a padlet you can view here. This week, I created a Top Ten List of Quotes for both Chapters 5 and Chapters 6. There were so many important lines that spoke to me, so this was easy to do! Oh, the endless task of putting away laundry. One thing that makes laundry-putting-away more bearable is it offers the opportunity to listen to podcasts. During the school year, I could check in on podcasts during my commute to and from work. Now that it is summer, I am in the car far less and when I am, I usually have my children with me. Thus, when I am alone putting away laundry, I can check in on podcasts I enjoy.